Having a body goal is the single most important element in getting the body look you want. Its not diet, training, supplements or motivation, which are all important parts of the journey, rather its the destination we need to drive to that brings our desires home. Once you commit to a goal it seems the universe bestows its energy upon you and reaching your destination is made easy. I know this sounds a bit over the top, but whatever it is, having a goal firmly in mind and executing on a plan to obtain it makes the journey exponentially easier and the time to make the destination much quicker. Each how to guide spells out the diet, training and supplementation plans you can follow to deliver the results you want. These plans have been followed by many other customers with great success, so we know they work. If you are a healthy adult and you commit to executing on the plan you will vastly improve your results and reach your destination much faster. Now lets get started – choose one of the body goals below and begin your epic journey toward the body of your dreams. Thank you for your request. The best place start is by signing up for our email. Just enter your email address and first name in the form on the right side and we’ll send you all the updates as they are released. Its a great way to stay up with what is going on. I would like a 74 year old powerful body. Hi Jose- Thank you for your question. We have many older customers who have developed fantastic physiques. Many of these customers have kept their bodies fit throughout their lives, but some also started later in life. The first step, and this is crucial, is to visit your physician or healthcare provide and get their advice on how you should go about achieving your fitness objectives. 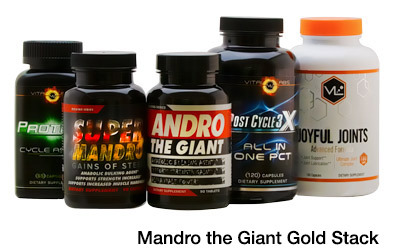 They can help you set your goals and monitor your progress and health. I know this can be a pain and seem like an impediment, but truthfully it is the most fruitful (and necessary) part of the process. Next, I would highly suggest you find a fitness trainer, someone who can work with you to motivate you and provide you with a workout routine/diet that fits your personal situation and characteristics. I am almost certain that if you start here you will not only be on your way to developing a “powerful body” but you may find you feel even more powerful. Good to hear, like anything its best to start by making some tangible goals. Then, the above guides are a good place to start for setting the right diet and workout regimen. Please let us know how we can help you. Thank you for your comment. We couldn’t agree more, everyone is different and what works for someone may not for someone else. The articles we publish on our site give guidelines that serve as a good frame of reference. Its also one reason we always suggest visitors contact our Pro Support Team as they can get more information about individual characteristics. 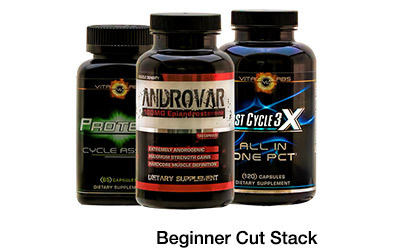 Is there a real fat burner to help get cut? Hi Laurie- Thank you for your question. As in any body transformation it boils down to you, your diet and the work you put in there are no magic bullets. However, many people use fat burners successfully to supplement the process, which as they report speeds up the process and/or provides them with better results. 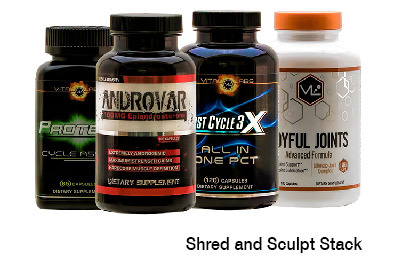 There are many different fat burners and cutting strategies depending on your personal characteristics and goals. I would suggest you contact our Pro Support Team and discuss your objectives. I am sure they can suggest ways to help you reach your goals, which in the end can speed up your efforts and save you the time and money lost in experimentation. I would like a toned core, but I don’t want to do thousand sit ups a day!! And no twisting exercises. I have a herniated disc that I never got surgery for, but I do manage to work out 3-5 times a week. Maybe some diet tips. Any help would be greatly appreciated!! Hi Jose- Thank you for your question. Without knowing too much about you personally all I can provide are some general guidelines, especially since you mention you have some back issues; please consult your doctor before doing any exercise, diet or supplement program. In general you shouldn’t need to do 1000s of anything to get tone. You will need to focus on diet and the right exercise for you (again concerning your back). Also, assuming you are otherwise a healthy adult, you might benefit greatly from a fat burner like Alpha Lean-7, which customers report getting great results from. In the end it will be putting all three elements, diet, exercise and supplementation together with a disciplined approach that will help you achieve your toned abs. If you focus on a program you can reach your goal far faster than you might imagine with much better results than you may have had before. So, avoid eating processed food and develop a calorie budget that includes a balanced diet. You may consider doing resistance band training or something static that helps you use your muscles and not stress your back – but again this is something you should discuss with a doctor, physical therapist or chiropractor; I am sorry I can’t help you too much here. Lastly, Alpha Lean-7 will help increase your metabolic rate and reduce hunger pangs, its very potent and you’ll need to assess your tolerance to its simulative effects. Start by taking a 1/4 or 1/2 serving to see how it affects you. If you are okay with it then you can step up to a full serving over a week or so. If you have more questions please feel free to contact our Pro Support Staff who we have to help guide you. Thank you for your comment. Although 0% body fat sounds awesome its definitely not healthy, you need some fat depending on your characteristics. 10-12% body fat for women is considered low by many. Hey girl you can get the body you want, just make sure you set realistic goals and work at it on a consistent basis. It comes faster than you think. I invite you to contact our Pro Support Team for some guidance. They are 100% free and 100% into helping you out. Contact them now, you’ll be happy you did. No such thing as 0%. Women who compete, the shredded ones you see, get down to about 9%. Hi J- Thank you for your comment. Yes we agree with you 0% fat is not achievable, however, its used here as a colloquialism or point of reference. Sometimes you need to read between the lines when responding to the posts and I interpreted the reference to 0% fat as meaning as low as possible.